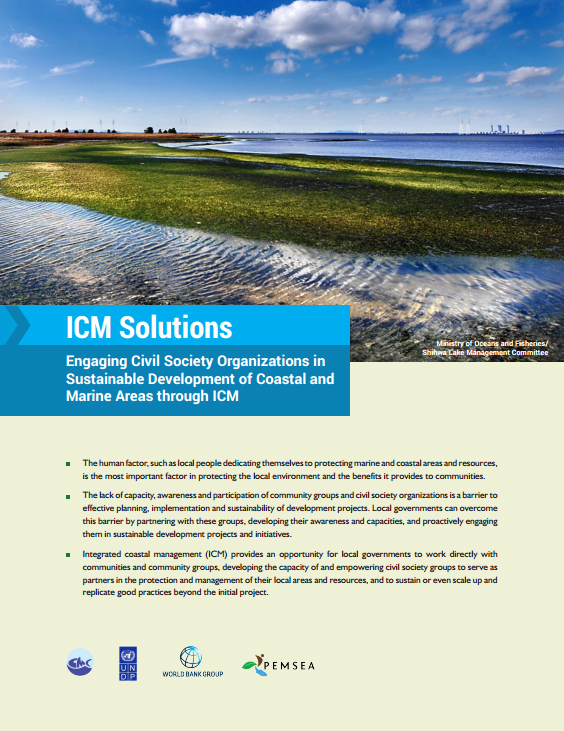 As immediate users of coastal areas, civil society groups have a crucial contribution to the development and implementation of ICM programs. Being users, they tend to have a deeper affinity to what is being managed. This leads to better and broader understanding of issues at stake and greater commitment to take action because of an inherent sense of ownership of place. Most often, environmental degradation is readily recognized by civil society groups because it comes along with a marked decline in livelihood. Print version is available for FREE. Pay only for the shipping cost.